A lady walks down the streets she goes to a train station, she waits a few minutes for the train. The train pulls up, before she boards it she notices a beautiful graffiti painted on the side of the train.”That is such an amazing piece of art. But then again wouldn’t that make it vandalism? I wonder if that person asked permission?” A lot of people wonder this question is Graffiti art or vandalism? When I go home I pass a lot of graffiti. One day I passed a beautiful graffiti, it was amazing. It had a lot of colors but mostly red, white and black, with other colors mixed in here and there. When I saw this it got me thinking. I did some research. I learned that modern graffiti comes in many different forms, from the scrawled messages in a public bathroom stall to the spray-painted murals on subway walls. The simplest form of graffiti is scrawled message;”Sally loves peter” or”James woz here.”Some people see this as vandalism since it lacks artistic merit, yet the point of graffiti is to send an expressive message to the reader, whether it is political, social or personal view. While doing online research I picked up some views that people had. Like an anonymous person who said that it really all depends on the message being passed through to the reader. The rest of the viewsopinions that I saw were all pretty much the same. And they all said that graffiti could be both art and vandalism. 9D I loved this opinion because that person made really good sense about the person doing the graffiti and how they are trying to express their feelings. My opinion about this matter is that graffiti can be both art and vandalism. It really all depends on what the picture expresses to you and what you see. But everyone has their own opinions and everyone sees everything differently. My class and I went walking around Chelsea. While we were walking I took 2 pictures. One is a door and it has a bunch of sayings and names, and all of those are written in different hand styles. When you look at this picture you instantly think that it is vandalism and maybe you are right. But if you take a look at the other picture you see a beautiful mural with a tree and heart. It also has school stuff portraying that it is good to learn. Basically this picture is motivation and when you look at it you instantly think its art. Lately I have been thinking that maybe the government should leave a wide white wall. That section could be for graffiti only. It would solve the problem of illegal graffiti. Because all the people who do graffiti would only have to go to that wall and do whatever graffiti they like. My opinion on graffiti will always be the same. Sometimes I get confused. I wrote this article to convince that graffiti can be both good and bad. But I can’t make you think that you have to figure it out yourself. This article had some good points but those good points came from someone else’s opinion - which is what this whole article was based on. Opinions. There was no hard evidence or facts to back up the information making it armature writing with a fluctuating view. There was some unnecessary information as well, speaking mostly about the data in the last few paragraphs. It was simply written and I noticed, while doing some further research on this topic, that you pulled information from another site. Pretty sure that’s plagiarism. However, you tried and I congratulate you on that. While it was not completely reliable or interesting to read, it had some helpful hints to it. 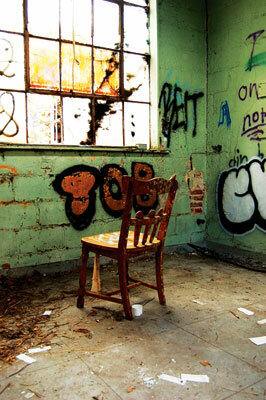 graffiti is an art its a teens way of expressing their feelings when they cant talk to any one.